I spent rest of my day sipping a drink at a restaurant and watching the waves bounce off the rocks. 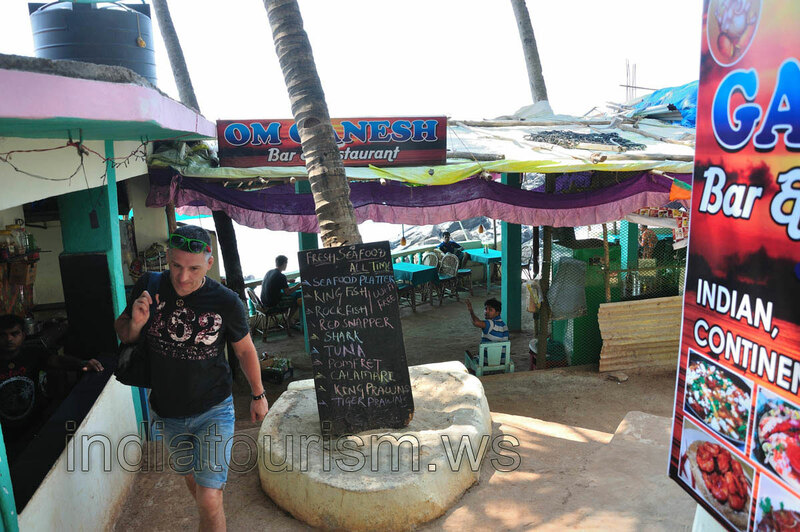 The friendly waiter at Om Ganesh cafe at the edge of the sea tells me that the beaches further north are completely deserted. “Walk along the beach for a few kilometers and you will hit the empty beaches of Querim,” he said, “Goa ends at Querim and it is Maharastra further north.” Somehow it is hard for me to imagine being on a beach outside Goa, even if it can match the Goan sands in beauty. There is a charm just in the name of this easygoing state.